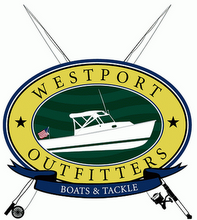 Successful completion of the class qualifies an individual for a Connecticut Safe Boating Certificate and Personal Water Craft Certificate. 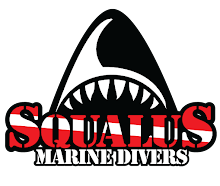 Cost is $30; registration closes on Tuesday, July 9. The town's traditional Independence Day observance begins with a ceremony at 10 a.m. Thursday on Town Hall Green. Sponsored by the United Veterans of Fairfield, the ceremony includes a dramatic reading of the Declaration of Independence and singing patriotic songs. It is followed by a reception hosted by the Eunice Dennis Burr Chapter of the Daughters of the American Revolution in the Old Academy building. For more information, visit www.EuniceDennieBurrDAR.org. 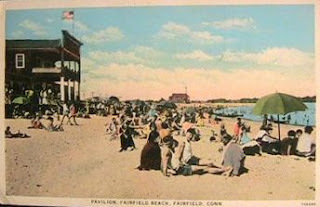 But Selectman Kevin Kiley wonders if a better plan night be to tear down the waterfront pavilion and start from scratch. 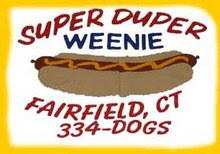 The Board of Selectmen on Wednesday heard a report from structural engineers regarding what needs to be fixed at the pavilion. 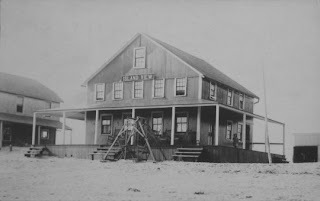 Sandy's surging tidal waters undermined pilings in the building's foundation, making it unsafe, and buckled floors and railings. A group of firefighters from New Jersey wants to honor one of the victims of the Newtown school shooting with a playground in Fairfield. 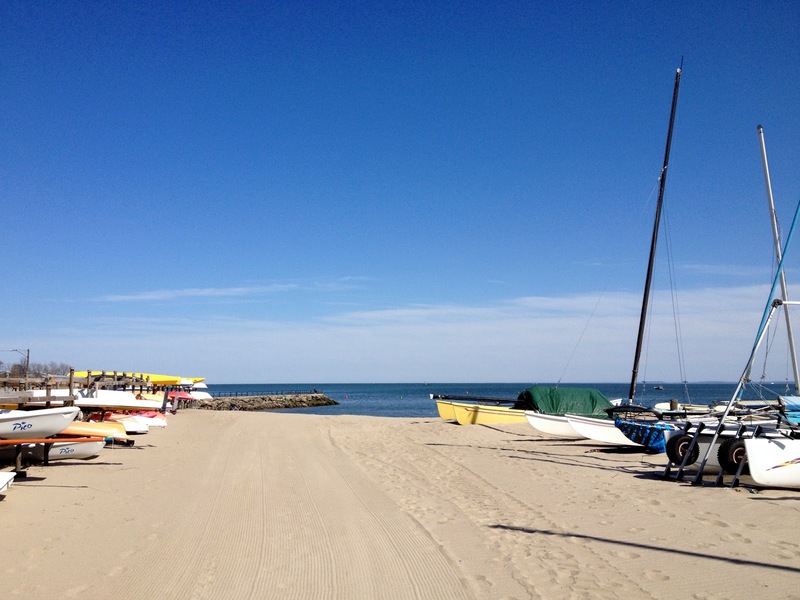 But the proposed Penfield Beach location is being questioned by some neighbors. The New Jersey State Firefighters Mutual Benevolent Association, working with local firefighters, has asked to build a playground in honor of Jessica Rekos, 6, at Penfield Beach. 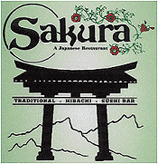 Jessica's mother, Krista Rekos, graduated from Fairfield University in 1999. In the aftermath of Hurricane Sandy, the people of our town pitched in to help each other out. The real gift was receiving all that amazing help yesterday. I know so many people have sustained devastating losses, but in my own little world this has been incredibly overwhelming to go through. I am tired to the bone, but feeling so much love and support yesterday makes it possible to take the next step. One day not to far down the line, this will all be behind us, but I hope people can remember how all of Fairfield came together to help each other when it was needed most. Peace. Aerial photograph over Penfield Lighthouse. 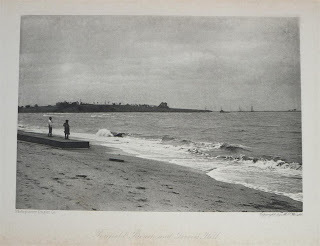 At Penfield Beach, 1922, Grover's Hill in the distance. 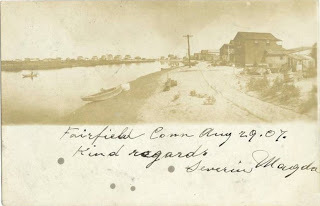 Very rare postcard, closeup of cottages on Fairfield Beach in 1910, photo probably 1909. 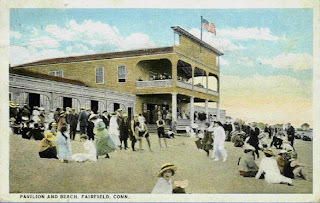 At Penfield Pavilion, card postmarked August 29, 1924. 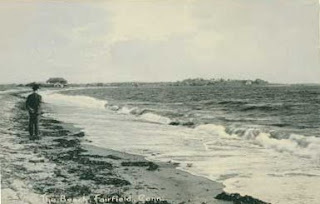 View of Fairfield Beach looking towards Grover's Hill, 1920's. 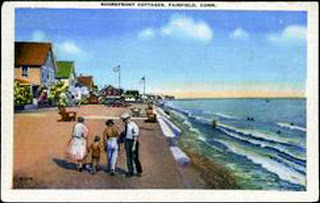 Postally used postcard, postmarked 1907. 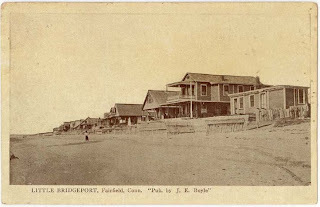 Postally used postcard, scene 1905 Fairfield Beach Road. 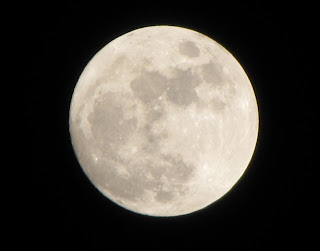 March 2009 full moon over Fairfield Beach. 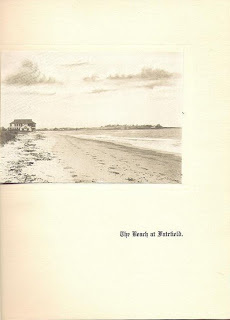 1895 Frank Child-Fairfield Connecticut Life Illustrated book. Note St. Mary's Black Rock in the distance. 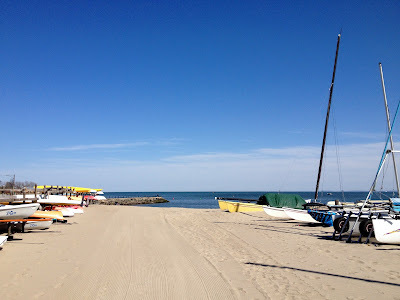 Looking at the end of Fairfield Beach Road from the jetty at Pine Creek Beach. 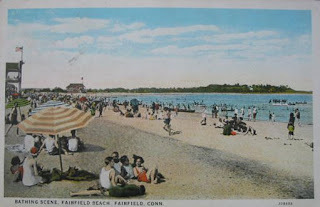 On the beach at Fairfield Beach in circa 1920. 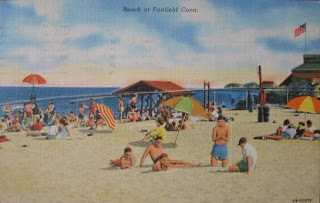 On Fairfield Beach in 1937. 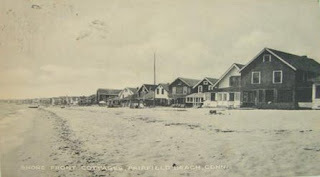 At Penfield Beach circa 1915. 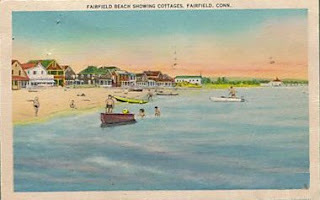 Fairfield Beach showing cottages in 1920. 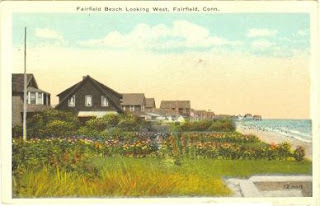 "HIGHLAND COTTAGE" on Fairfield Beach, postcard printed in 1906. 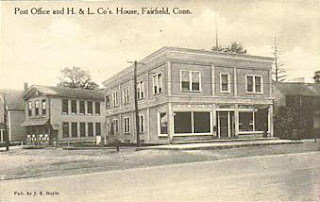 A page from a book on Fairfield CT, circa 1910. 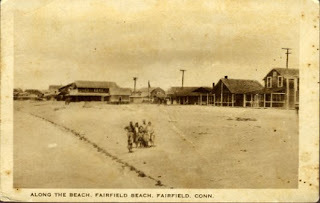 Early 1915 postcard showing the corner of Post Road and Reef Road. The old firehouse is now the Firehouse Deli. 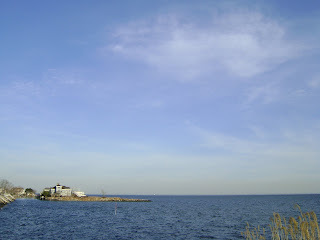 The cottage "ISLAND VIEW" on Fairfield Beach. 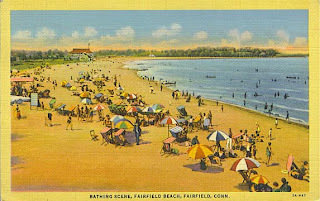 Early postcard at Fairfield Beach, in the early 1920's. 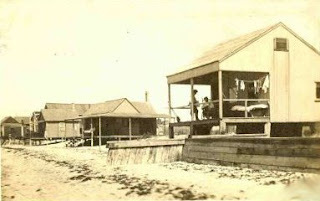 Sea canoes and other small boats were available for rent and were popular even then. 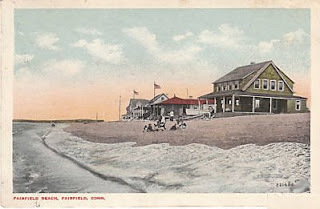 Little Bridgeport in 1909, Fairfield Beach, Fairfield CT. 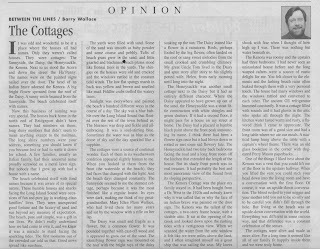 In the July 5, 2006 Fairfield Citizen-News, Barry Wallace wrote this excellent piece on beach cottage names in the Fairfield Beach and Pine Creek areas. 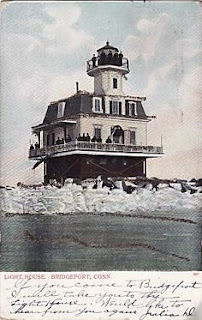 Scene at Penfield Lighthouse in 1910, photo taken from boat, postcard printed in 1910. 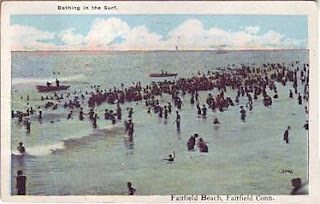 Postcard, printed 1921, on Fairfield Beach looking west. On Fairfield Beach, St. Mary's, Black Rock in the distance. 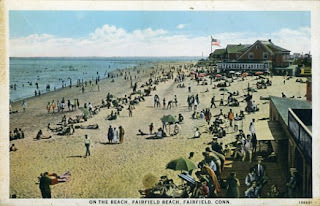 Search all ACTIVE Fairfield Properties HERE! 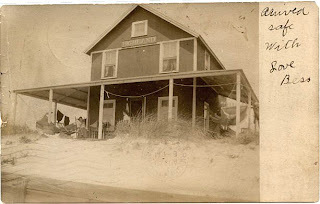 Contact a beach area property specialist!